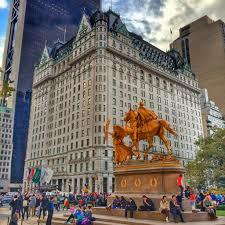 The WRDIC 2019 Conference Committee is pleased to announce the 15th Annual Wharton Restructuring and Distressed Investing Conference on February 22nd, 2019 at The Plaza Hotel in New York City. The conference offers a great learning and networking opportunity for industry professionals and those interested in investment banking, operational/turnaround consulting and private equity and hedge fund investing. WRDIC 2019 features keynote speakers David Bonderman, Founder and Chief Investment Officer of TPG, and Sonia Gardner, President, Managing Partner and Co-Founder of Avenue Capital. The Wharton School hosts the largest restructuring and distressed investing-focused school-run conference in the United States. WRDIC serves as an important forum for industry practitioners, academics, and students to gather and exchange ideas. Details and Tickets available at www.wrdic.org. We hope to see you there!